Want to Partner with Us ! We can partner with you to assist you or for you to assisst us if you have the resources and have something to invest. There are a number of good reasons to partner with us but first who are Data & Scientific Inc.? Our company; Data & Scientific Inc. was founded in 1989; January 1989 to be exact. We are a software engineering company with a good team of Canadian trained developers but we are first and foremost a business providing solutions and services to other busiensses and government at all levels. Our goal is to deliver value always to our customers. Let us care about your data. Our founder is a former University professor. We strive to always be current and participating technloigy development. We are very current but we also maintian a roster of brilliant minds who are also senior professionals whom we tap regularly to ensure our solutions are current and guarantreed to bring value to our customers. We have been buidling software since 1975. We build custome software. We sell software. 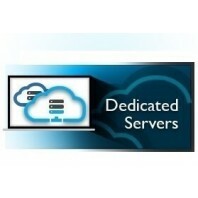 We sell secure IT infrastructure services to businesses. Data & Scientific Inc. maintains its own data center. That data center currently caters to a number of small and medium size businesses in Canada and a number of export market customers. We have partnered with VMware, IBM, Red Hat,Thales and Gemalto to build a high availability data center with encryption everywhere. The infrastructure is powered by communications facilties from Bell Canada. Of course redundant power supplies are a major part of the infrastructure. We sell in-house and cloud based authentication and access control services through our secure infrastructure. Related data is provided to customers through web services. There are primarily three ways to do so depending on your capabilties and resources and investment goals. You or your business is interested in offering Cloud based services to your clients or you wish to invest in cloud services. Partner with us or Invest in us. It is the best of both worlds - we win, you win big! You are a highly skilled professional with some product development or well thought out concept in mind. You have invested some considerable effort in to the analysis and possible usefulness in business environment. We focused on product or services that help busienss owners especially manufacturing and retail. You, however, do not have the wherewithal to fully build out the solution. call us we analyze your documented ideas in strict confidence and see if there is a match. We will do due dilligence before any elaborate discussion sessions. You have the financial capability and other resources needed and wish to deploy Cloud offering infrastructure in house. Talk to us to us and we will get it done for you! We have done it for ourselves. We have the infrastructure running. Call and arrange a Special Guest's visit. Come "kick the tires". We guarantee that you will save a bundle. Your deployment will be also be very secure. We'll train your personnel, leave alone you to to run your business and manage the infrastructure in-house if you so wish.